This is for all the wonderful wild women out there. Calling all women who aren’t afraid of getting their hands dirty. 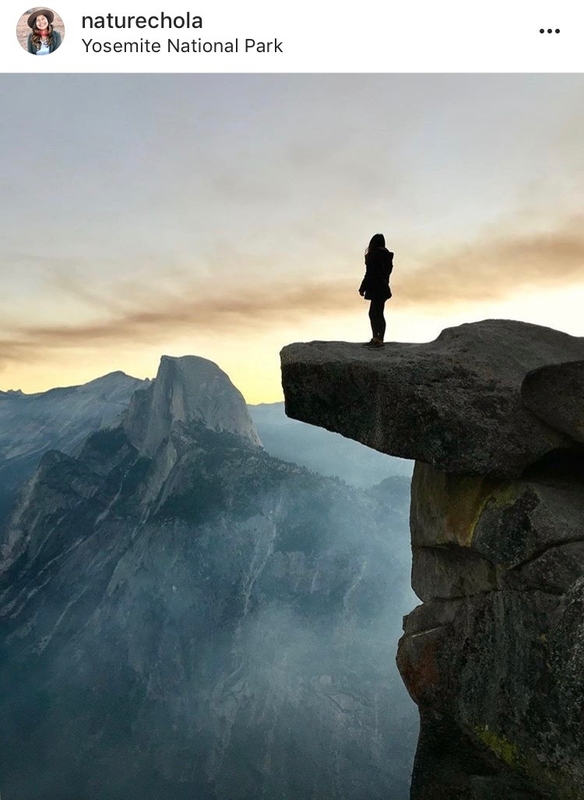 We have curated some of our favorite female-run Instagram accounts that encourage us to get out there and explore this beautiful world. Get inspired by some of these kickass women who prove you can do anything you set your mind to. 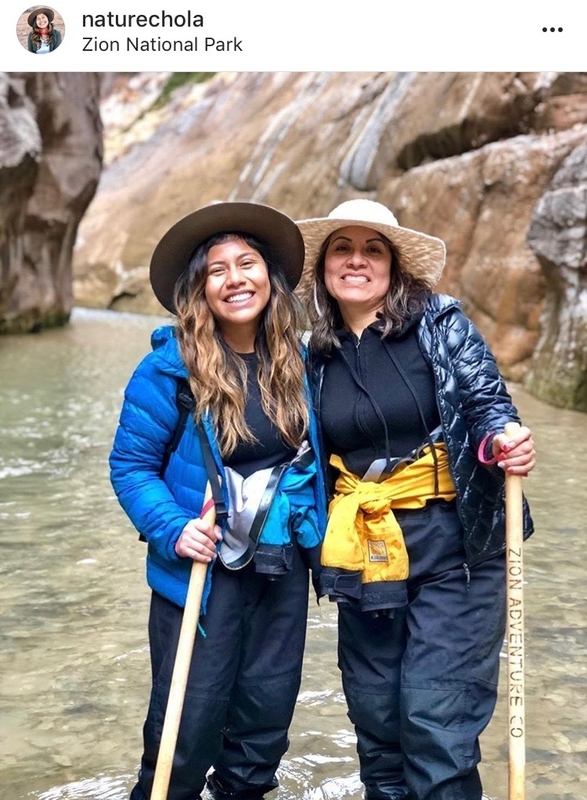 From rock climbing to stand up paddle boarding, expand your appreciation for the outdoors and nature by following some of these women’s Instagram accounts. Feeling motivated to do more? You can help protect that world by donating to the national parks service here. Bio | "Girls on SUPs from Munich, exploring waters in Bavaria and around the globe"
Why We Love Them | SUPs, Stand Up Paddle Boards, are the name of the game for Julia Kaffka and Anja Mork. These two ladies dive right into adventure. They aim to show off how fun and freeing taking your board out on the water can be, no matter the weather or season. Why We Love Her | Based in Canada, Jaclyn shows off all the stunning wilderness the great white north has to offer—with the addition of some puppies thrown in. These British Columbia pics will have you planning a backpacking trip to Jasper National Park or snowboarding adventure to Silver Star Provincial Park in no time. 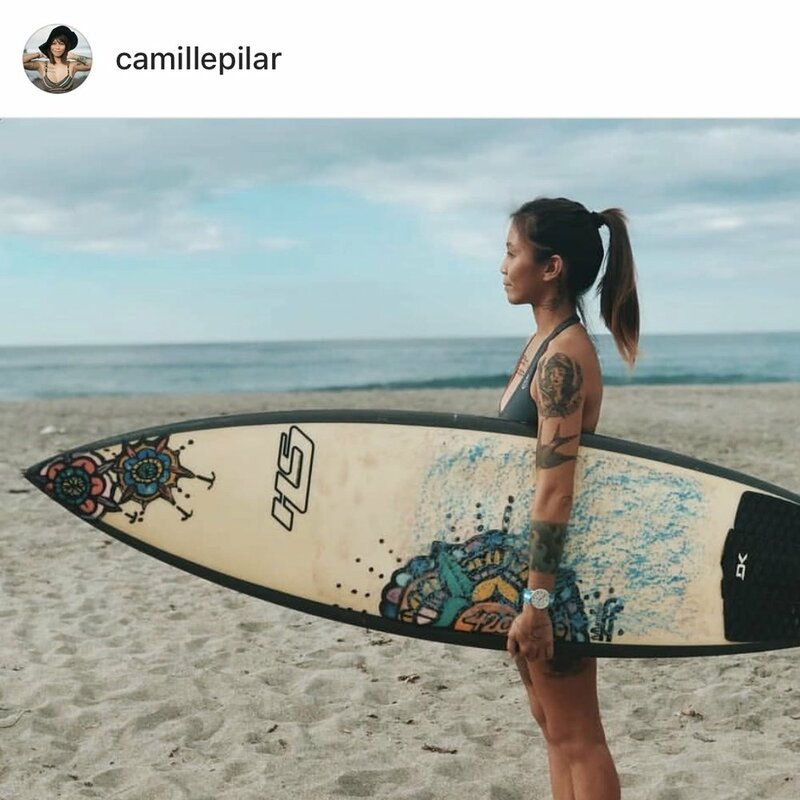 Why We Love Her | Camille is a surfing queen located in The Philippines. Follow Camille to see her down to earth experiences and boarding pics that will have you googling how to surf in no time. With a passion for keeping beaches clean and accessible, Camille will inspire you to get out on the water and hang ten. Why We Love her | Jane’s account is a blast to follow because not only are you getting the amazing scenery surrounding her in Colorado but seeing how she brings nature to life with her brushes. This juxtaposition shows that spending time outside does not have to be filled with strenuous activities but can be for relaxing and contemplation. Why We Love Her | Adaeze’s magnetic spirit will draw you into her fun-filled adventures and have you start planning a road trip with your bestie in no time. Sunrises over lakes and on the tops of mountains are the best ones. There is always time for a quick hike to clear your mind and Adaeze’s ‘gram gives you a quick break from the scrolling. Why We Love Her | Angela’s account is pure inspiration. Her account will make you want to put your phone down and head out to experience some of the beauty depicted on her profile. Wide open spaces and cozy campfire nights await you. Why We Love Her | Karin is all about taking the first step and getting out there! Nature is for everyone to explore. Her fun-filled spirit and drive to escape into the wild to try new activities motivates us to put ourselves out there. Give your feed some inspo to get out of your comfort zone and not be afraid of trying new things. Why We Love Her | With her upbeat attitude towards everything, Tiffany is that little boost of encouragement you’ll need if you’re on the fence about heading far and wide for some adventure. She’ll remind you that the sky’s the limit when it comes to appreciating and exploring this beautiful planet. Why We Love Her | Get the bug to do some international exploration. Renee finds outdoor adventure all over the globe. She makes time to stop and smell the roses and reminds you there is no time like the present to jump on a plane and see some of the natural world. Living that van life. Why We Love Her | Rayne is a total BA. Following her is like going on a crazy ice climbing excursion every day. She pushes herself to the limits in the Canadian Rockies and will show you that there Ain't No Mountain High Enough. Get out there and learn to trust yourself and climb to new heights. Why We Love Her | Through Ayesha’s ambition in her Instagram posts she’ll motivate you to pursue your dream—and want to get out there and remember how to use your bicycle that's slowly collecting dust. Follow her journey to see all the training it takes to become one of the best. Just hop on and see where your bike can lead you. Bio | "Born in Detroit." Why We Love Her | Becca’s dreamy documentation of her mountain exploration will ignite a spark in you to go see them in person. National Parks are at the heart of her account, from Glacier National Park to Mammoth Hot Springs. Ever wanted to see moose in person? Now’s your time to go see nature firsthand. Bio | "Pro Rock Climber"
Why We Love Her | What a woman. Pamela is an amazing athlete posting from her rock climbing excursions. Squeezing in between rocks all the way up to the top, Pamela will have you wanting to find a line and experience the thrill for yourself. So go on get out there! Put on some John Denver, step out of your comfort zone, text your girlfriends, and hit the trails.